In the center of Amsterdam you will find our beautiful store. Jeweler Bruens began in a small building located in the shopping area “The HaagseBluf” The Hague as antiquarian, but moved to our capital Amsterdam, where it was received with open arms soon by the New Spiegelstraat. Jeweler Bruens is a specialist when it comes to antiques, jewelry and exclusive vintage watches. You’ve come to the right place for the sale, purchase / exchange, repair, valuation and all imaginable services around antiques. Also for overhaul and repair mechanisms we turn our hands to. Of course we only work with authentic, original parts, so everything is restored to its original condition. In our store you will find a wide collection of vintage watches brands like Rolex, Patek Philippe, IWC, Corum, Jaeger Le Coultre, Cartier, Omega, Audemar Piquet, Ebel, Hublot and more. You are always welcome to come and see us. Wonderful offer Looking for a specific vintage watch? Please let us know freely. 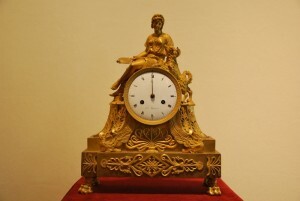 Besides sales, repair and valuation of vintage watches, jewelery, furniture and empire empire clocks Jeweller Bruens also become a household name in Amsterdam in buy and sell gold. You can contact us also go for your old gold, gold jewelry and other precious metals. We like to take the gold price at the best of you. For several years, the third generation joined Jeweler Bruens. They have a lot of experience, which the team has been able to specialize. The right way both in sales and behind the scenes In this way we try to ensure our quality and guarantees. Want to learn more? We welcome you while enjoying a drink at Jewelry & Antique Bruens, New Spiegelstraat 53 in Amsterdam. Questions and / or comments, you can always contact us by phone or contact form. See you soon at Red Coral Bruens!